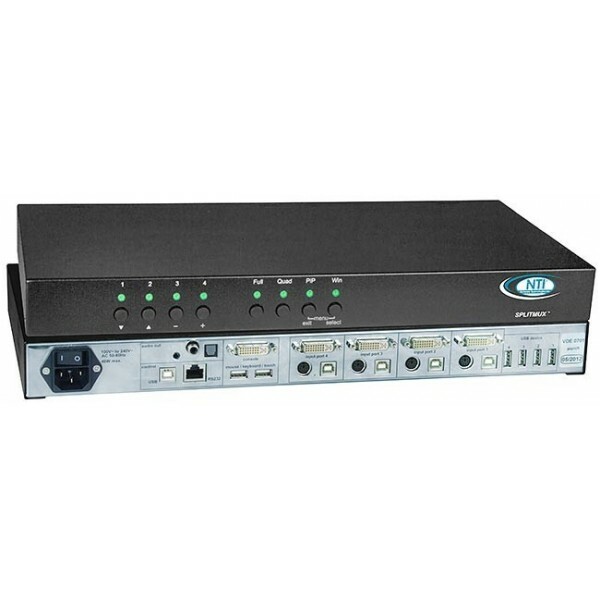 Accepts analog and digital video signals simultaneously. 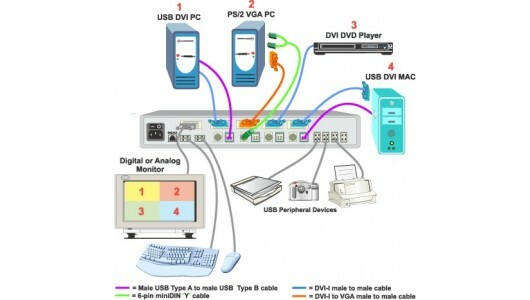 Supports digital DVI and analog VGA. SPLITMUX-DVI-4: Supports crisp and clear VGA video resolution up to 1600x1200 and DVI video resolution up to 1900x1200. SPLITMUX-DVI-4RT: Supports crisp and clear VGA video resolution up to 1600x1200 and DVI video resolution up to 1900x1200.